An ambitious young woman navigates the slippery world of advertising–and the equally slippery question of who she wants to be. 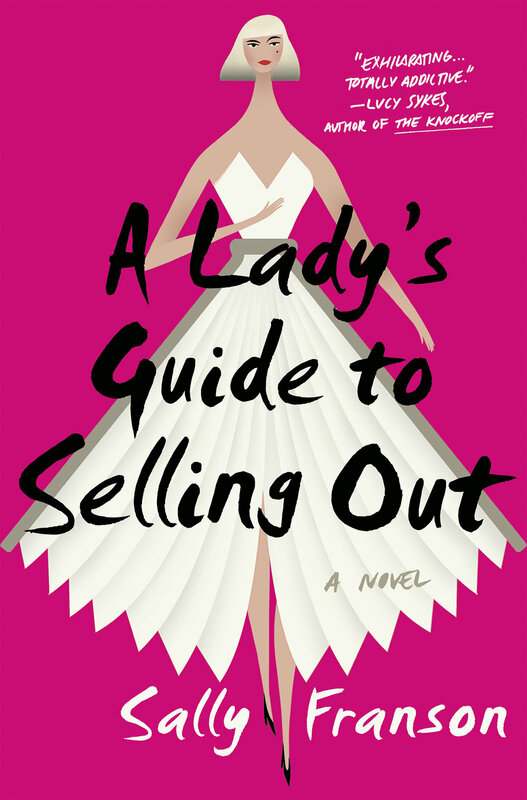 Mad Men meets The Devil Wears Prada in Sally Franson's smart and witty debut novel. Casey Pendergast, once a book-loving English major, is now a clothes-loving brand strategist at a top ad agency. Casey is a superstar, and her career has skyrocketed: she knows what people want, and she knows how to give it to them. When her hard-to-please boss assigns her to a top-secret marketing campaign that pairs authors with corporations hungry for creative copy and upmarket cache, Casey is initially thrilled–but as she begins to meet and woo her literary idols, she can’t help but question the cost on her conscience. With an unforgettable voice–plucky and razor-sharp, equal parts feminist and pop-culture–this is the story of a young woman untangling the contradictions of our culture, and finding her way out of the rat race by returning to her first love: literature. SALLY FRANSON received her education at Barnard College and the University of Minnesota. Her work has appeared in such varied places as The Guardian, NPR Weekend Edition, Minneapolis-St. Paul, Signature Reads and Pop Sugar, as well as Witness. She has received recognition from The Macdowell Colony, the Ucross Foundation, the Sewanee Writers’ Conference, Glimmer Train, Best American Travel Writing, and more. Once in a while she writes humor for The Loft Literary Center in Minneapolis, where she lives with her boyfriend, her poodle, and her feelings. She teaches at Macalester College in Saint Paul, Minnesota.